Q: I want to have one of the drop menus in the horizontal navigation use a different image. and the last one a different one. Can this be done? Q: Are there the possibility to have the dhtml menu code into an external file so that nothing of the dhtml menu code will appear on my html code? 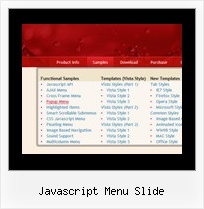 A: Menu has data.js (by default) data file with menu parameters, itemsand styles and 9 engine files. You should only call two .js files on your html page. Q: Hello. I had a question about the vista templates. 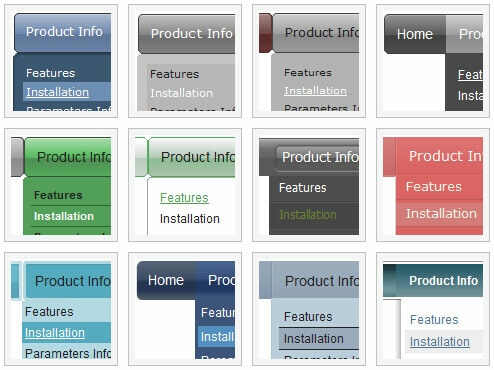 Is it possible to extend the width on the java menu buttons to get more text in them? I put to much text and the button is repeating itself. Is there a way to extend the width of the button without the repeat? Q: How do I highlight the current tab in a hover tab menu?